But if using css as an anti-copas blog there is one disadvantage, that is when your blog is checked for validity in cc3 there will be a warning message, this makes blog lovers who like valid things reluctant to install it, but actually it doesn't matter and has no effect on SEO. Finally, please check, can it still be copied or not! 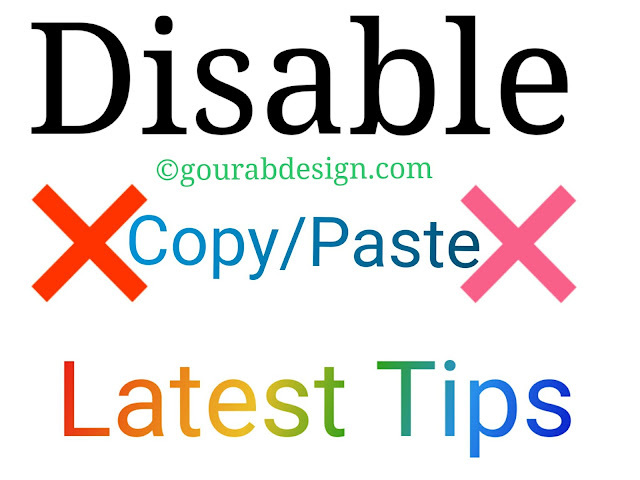 How bro How to get in the way so that our blog content cannot be copied and paste? very easy isn't it. oh yes, please use one of the two options above, if I recommend using the first method, because it won't burden the blog, but it's up to you, who has your blog. So the tutorial on securing articles from copasser actions may be useful for you. happy blogging and coding. Now I hope everyone has understood everything. And this is necessary brother Because this will greatly benefit you.Hey you mean anybody can steal your content. If this happens, then it will be damaged and you will also be together. So stop it from now. It does not know what can happen next. There is nothing safe in this internet. But if you want you can keep your website safe.Therefore, the 2 methods given in this post are used by oak. You will never worry after that.